KOSCIUSKO — A Milford man was sentenced in Kosciusko Circuit Court today, Jan. 23, in two cases regarding burglary and drugs. 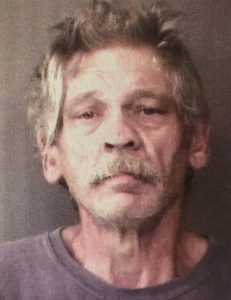 In the first case, Earl Hillis Smith, Jr., 64, 304 N. James St., Milford, was charged with burglary, a level 5 felony; and failure to appear, a level 6 felony. In the second case, Smith was charged with possession of methamphetamine, a level 6 felony. On May 15, 2018, an officer with the Milford Police Department responded to a burglary report at a Friendly Express Mart gas station. According to the affidavit of probable cause, the officer observed the glass in the business’s front door broken with multiple bricks laying next to the door. The officer observed a subject he recognized as Smith behind the counter inside the store. Smith ran out the front door of the store and attempted to flee from the officer. The officer was able to catch Smith and arrest him. Smith stole $174 from the business. On May 18, 2018, an officer with the Syracuse Police Department responded to a report of a suspicious vehicle. The officer discovered Smith and a female subject inside the vehicle. After noticing an odor of burnt marijuana, the officer conducted a search of the vehicle. Upon searching the vehicle, the officer found a yellow plastic bag that tested positive for methamphetamine. Smith told the officer that the methamphetamine was his. Defense Attorney Scott Reust said Smith had not been in a substance abuse treatment program and that Smith wants to participate in Recovery While Incarcerated. Smith told Judge Michael Reed he struggled last year due to circumstances involving his family. “Regardless of that, I take full responsibility for my actions,” said Smith. In the first case, Reed sentenced Smith to three years in the Indiana Department of Corrections for the burglary charge, and six months in the Department of Corrections for his failure to appear charge. Smith has 180 days of jail time credit in the case. In the second case, Smith was sentenced to six months in the Department of Corrections. Reed also recommended Smith complete the Recovery While Incarcerated program.